The rate at which people in the United States are renting homes is the highest it’s been since the 1960s. For every 1 million rental applications, 15,000 are approved. Rent Cafe analyzed lease applications submitted between January 2014 and June 2017 in the largest 100 U.S. cities and found that, while the overall approval rate has increased from 81 percent in 2014 to 83 in 2017, some apartment-seekers are still having trouble being approved. And poor credit, low income and employment status are not the main reasons why. “The biggest reason for denying an application, which occurs in one-third of cases, is having accounts in default, collection or charge-offs,” Nadia Balint, real estate writer and author of the study, tells CNBC Make It. That’s roughly 33 percent, ranging from minor to severe cases. 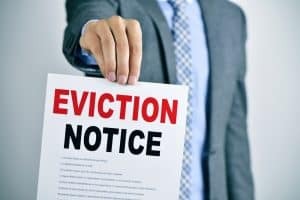 About 15 percent of applicants are rejected due to negative or insufficient rental history, and 12 percent are denied due to the applicant’s criminal history. The study found that only 8 percent of rejections are due to a low credit score. A negative or insufficient employment history or income leads to rejection in only 7 percent of cases. “In some cases,” the study notes, “factors such as a proven record of timely payments weigh heavier than income. The bottom line is that landlords often look beyond the number that is the credit score. Credit score does play a role, though. “Aside from all other reasons, your chances of approval do increase proportionally with your credit score,” the study says.